I finally stopped to snap a photo of one of the bicycle racks on Sixth Avenue. 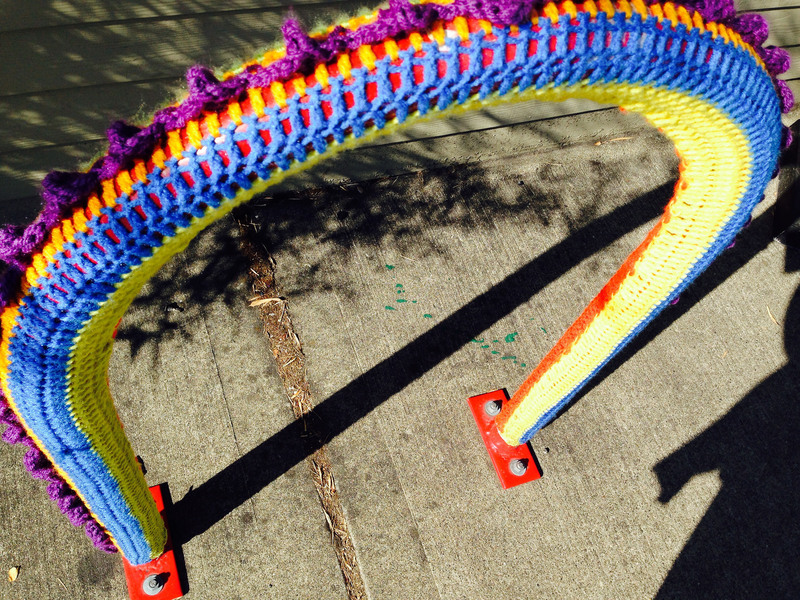 I love that an individual, Kassie Mitchell, has taken it upon herself to share some joy through yarn bombing. To read more, go here. 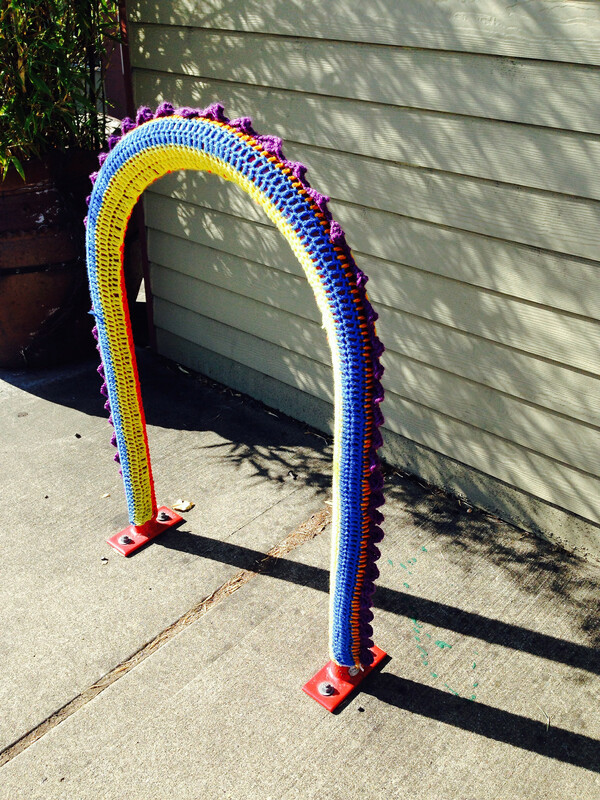 This entry was posted in Art -- there is art here!, Tacoma, WA State - Pierce County and tagged 6th, art, Ave., Avenue, bomb, bombing, Kassie Mitchell, sixth, Tacoma, yarn, yarn bombing on August 21, 2014 by admin.